 "The Natural Bearing Choice for Over 130 Years"
Check out our Certificate from NSF International for our Lignum Vitae Bearings! • Requires zero tolerance – Especially important for older applications with some wear or instability, unlike composite bearings that require inordinate clearance for fear of touching and wiping or smearing the shaft. • Contains guaiac gum that acts as the lubricant. This water impervious gum glazes the bearing surface, which stays intact for decades, even in dirty or silty water. Unlike other lubricants that are free to flow away from the bearing, guaiac gum is bound in a homogeneous fiber that cannot drain away. • Contains no abrasives or composites requiring shaft treatments or special coatings. • Nature’s perfect combination of hardness and lubricity for running against steel. • Excellent performance in dirty and silty water, with documented case of 67 years of service on original bearing set in Army Corps of Engineers’ application. • No need to filter the water or add lubricants required by some composites. • Easy to install, even when replacing old bearings in remote or crude conditions. 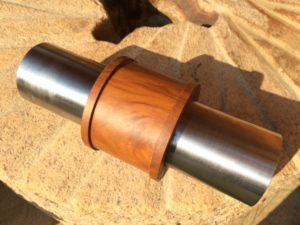 • The only renewable, natural, industrial underwater bearing. • Requires no grease, oil or other lubricants, which may spill in surrounding water. • No threat to air, water, or soil, with nothing going into landfill. • No manufacturing pollution, toxic metals, PCBs, plastic, VOCs, or exotic chemicals. • The forest is actively managed to preserve the supply of Lignum Vitae into perpetuity through an internationally recognized agency.